The replacement event for the long-running but now- defunct Chargers Blood Drive is scheduled for Saturday at the Town & Country Resort and Convention Center. 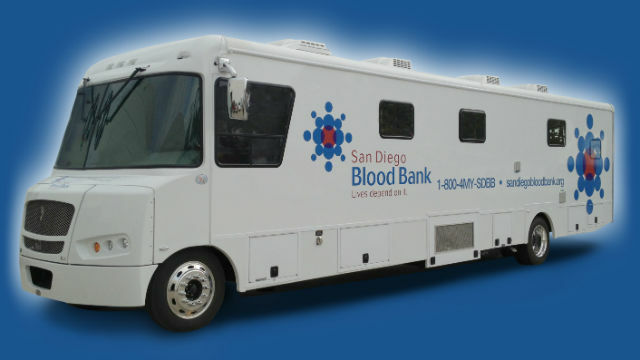 The San Diego Cares Blood Drive starts at 8 a.m. and will be similar in nature to the old blood drive, but less Chargers-centric. Former Bolts Kellen Winslow, Kris Dielman, Ed White and Rolf Benirschke are among the athletes scheduled to attend, along with ex-Padres Greg Vaughn, Chris Gomez, Steve Finley, Randy Jones and Wally Joyner. Also scheduled to attend are San Diego Sockers players Ze Roberto, Anthony Medina and Edgar Aguilar. Current and former collegiate athletes also are expected to be there. — at 3 p.m., a look back at the thrilling overtime playoff win over the Miami Dolphins, emceed by broadcaster Chris Ello. The blood drive is designed to stock up the supply for the San Diego Blood Bank at a time when donations drop off because of the holidays. The event’s predecessor, the Chargers Blood Drive, started in 1979 when Rolf Benirschke, a popular Chargers placekicker at the time, developed ulcerative colitis and underwent two surgeries to remove his large intestine, which required about 80 pints of blood. Team executives called the San Diego Blood Bank and asked if they could collect donations, and the next day, about 1,000 fans showed up at the stadium and donated nearly 300 pints of blood. More than 73,000 pints have been collected over the years.